While the kids were at six flags last Saturday, Sharon and I hiked on the History Trail in the Old Bale Mill State Historic Park. Including touring the grist mill, we covered 2.01 miles in 54 minutes. 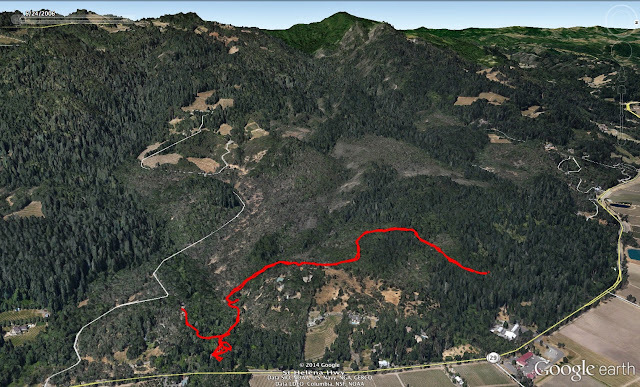 Using data from Runkeeper on my iPhone, I generated the following Google Earth view of the hike.